“Backing Tracks” are music files where the lead guitar (and often the vocals) have been stripped from the recording — leaving the musical canvas open for you to fill in with your very own guitar chops. There are a wide variety of downloadable backing tracks online in all popular genres. They are typically in MP3 format and can be played with the audio players already installed on most computers. BT’s can be found for many popular cover tunes as well as more generic jam tracks. IK Multimedia’s AmpliTube 2.0 for iPad supports the importing of backing tracks into its multi-track recording app – as do many of the latest recording platform products. The best part is that they can be used for live performance or just for general practice! Note: Some backing tracks are copyrighted and may require license fees to use in a commercial environment. It is always best to consult with the author/source of the track to be aware of any potential legal liability. Using backing tracks for “practice purposes” in the privacy of your home is generally acceptable. Even still, check with the author to be sure. Backing Tracks are a great way to develop rhythm in your playing and can also help you memorize scales. Unlike the monotony of a metronome, backing tracks add a certain flair to your practice by giving you the feeling of playing with a real band. 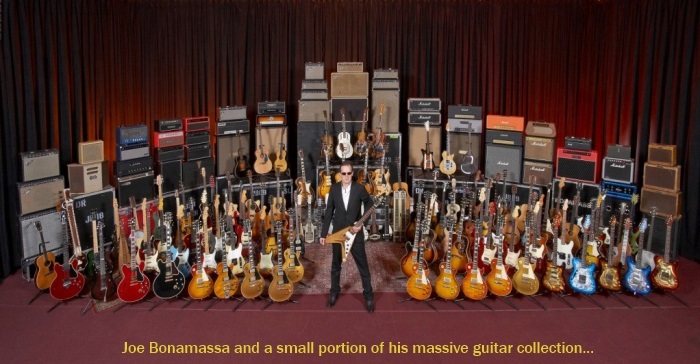 Check out the site titled “NEW BACKING TRACKS” for some excellent links and downloads of Backing Tracks for Gary Moore, Carlos Santana, Joe Bonamassa, Eric Clapton, and many more. Recently, Guitar Center held their “King of the Blues” contest and posted several Pete Anderson Blues Backing Tracks on their web site that could be downloaded for free. Recorded in the Key of E. This is a swampy, electrified delta blues with a freight train groove! You can use the E Minor Pentatonic Scale (above) to solo with. Recorded in the Key of C. This is a Texas jazz style blues with a shuffle beat. You can use the C Minor Pentatonic Scale (above) to solo with. 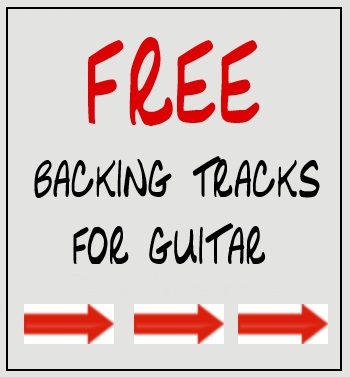 If you know of any other sites that offer “free to download” backing tracks, please add a comment to this post and share the love with other readers. So what are you waiting for! Go grab your axe and JAM ALONG!